Guaranteed Work from Highly Skilled Tradespeople. Skilled Workmanship and Technical Ability. Quick, Efficient and to Your Individual Specifications. Specialist Construction, Maintenance and Repair. Initial Enquiry to Final Completion. For over 50 years James Wilkes Limited, have been meeting the construction requirements of clients in the West Midlands. 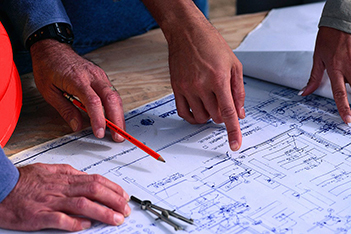 Using the knowledge, expertise and skills of our staff and associates we can offer a quality service to guide clients’ projects from conception and planning through to completion. JWL offer services to domestic, commercial and local authority clients. Wherever possible we make every effort to deploy our direct operatives for complete control and to ensure that the quality of work is kept to our own high standards. Our company is well established and highly regarded with a proven track record for understanding and interpreting clients’ needs and interests. Please visit our portfolio of completed projects which stand as a testimonial to our claims. We pride ourselves on giving a quality hands-on service with the full back up of professionally qualified office staff communicating with our clients to fulfil their expectations.